Hot off a surprisingly strong run for New York governor in which she knocked incumbent Democrat Andrew Cuomo for a loop — and won a place on the TV talk-show circuit — Zephyr Teachout will be back on her home turf to talk politics. Teachout will discuss her book Corruption in America when she takes the stage Thursday at Vermont Law School. The free event is from 5:30 to 7 p.m. in Chase Community Center at the South Royalton school. (Her father, Peter, teaches constitutional law there; her mother, Mary, is a Vermont Superior Court judge.) She’ll also be signing her book at Barrister’s Book Shop from 3:30-4:30 p.m. that day. 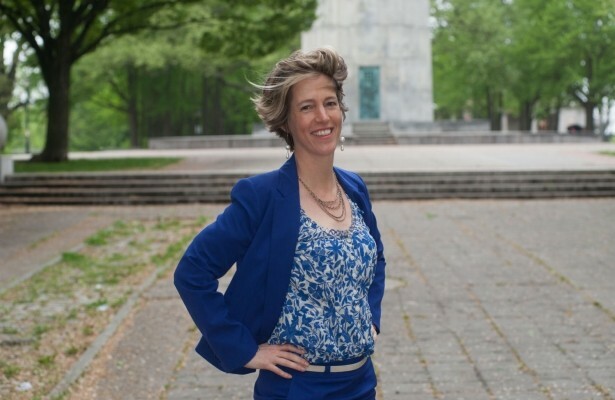 The 43-year-old Teachout, who grew up down the road in Norwich and teaches law at Fordham University, went from relative obscurity to prominence as the bee in Cuomo’s political bonnet during last year’s New York gubernatorial primary. 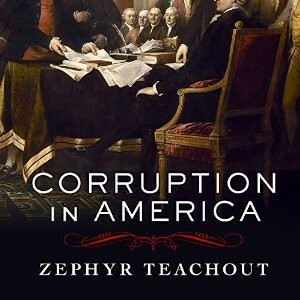 Zephyr Teachout's new book, Corruption in America. She won 30 of the state’s 62 counties, and 34 percent of the overall vote, largely by challenging the well-entrenched incumbent's ethics. She may have played a significant role in knocking Cuomo off the path of a possible presidential campaign. He found her such an irritant he tried unsuccessfully to challenge her New York State residency. Her showing gave Teachout a national stage just in time for the release last fall of her book, in which she traces the history of corruption back to the founding fathers. “People want politicians who fight for them and they don’t want politicians who fight for big money,” Teachout said post-primary on "The Daily Show" in September. Before stepping onto the national stage, Teachout got her political start back in Vermont. She worked on former governor Howard Dean’s 2004 presidential campaign, where she won credit for using the internet as a means of building a campaign. She toyed briefly with running for the U.S. House in Vermont in 2006 before she ended up pursuing out-of-state jobs.